A little book with a very powerful message; you create your own destiny by the thoughts you choose and encourage which create your inner character and your outer circumstances. Originally published in 1902 - it’s as relevant and popular today as it was then. An absolute timeless classic. 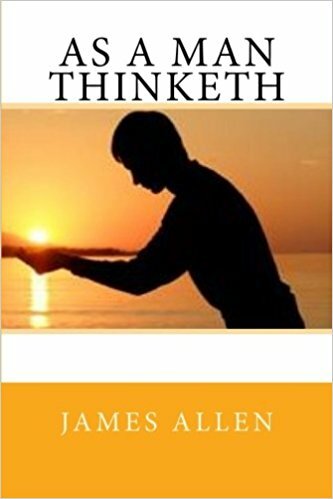 James Allen (1864 - 1912) was a British philosophical writer and poet best known for this book, As a Man Thinketh which has gone on to sell millions of copies worldwide. He was an inspirational pioneer in the self-help movement and wrote about transformational subjects such as love, destiny, the power of thought, and being able to direct one’s course of life. Choose some affirmations you can repeat daily. Ask five close friends/family to write down a description of your character. Improve your health by changing your thoughts.